My focus was on the Wildflower Fields Designer Series Paper and the coordinating stamp set Flowering Fields. The DSP sheet I choose is in Hello Honey. Again, not a colour I’m usually quick to pick up but I wanted to also have different tones so I also choose So Saffron and Daffodil Delight. Cut a piece of Whisper White Card Stock 10.5 x 28cm scoring in half to make your card front. Basic Black 10.2 x 13.7cm, DSP 10 x 13.5cm and Whisper White 4.5 x 10cm. 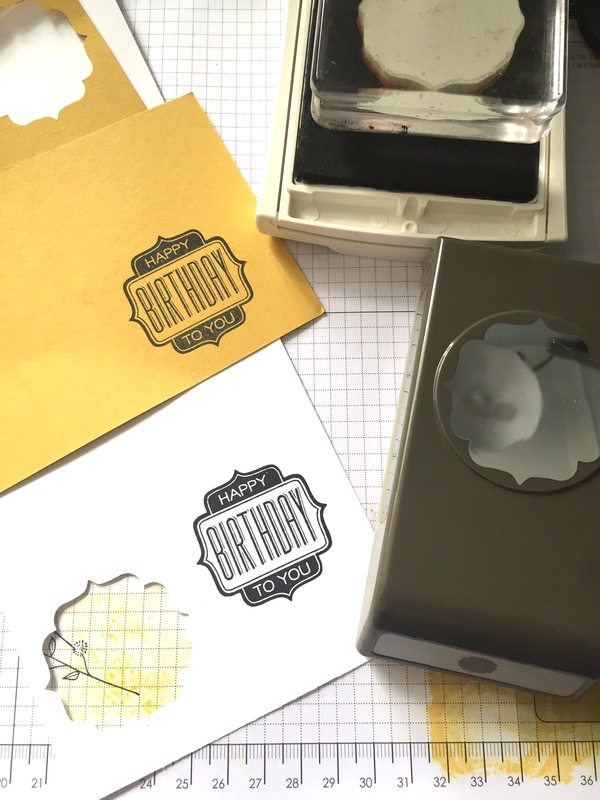 Stamp on the thin strip of Whisper White Card Stock using the image shown in picture from the Work Of Art stamp set. I chose to work from the bottom up, dark to light or you could do any combination you like. I stamped the image once and without re-inking stamped again moving the stamp up so it over laps approx. half way. Then stamped the next colour overlapping the first colour and repeating the same step as the first colour. Again, repeating for third colour. 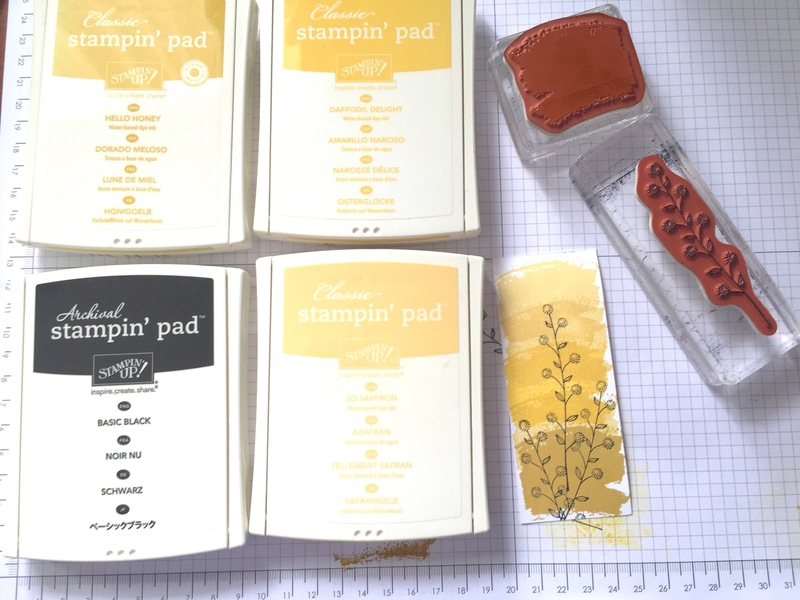 Using Basic Black Archival Ink I stamped the coordinating stamp from the Flowering Fields stamp set. Cover a small piece of Whisper White measuring 2 x 10.5cm with Washi Tape. 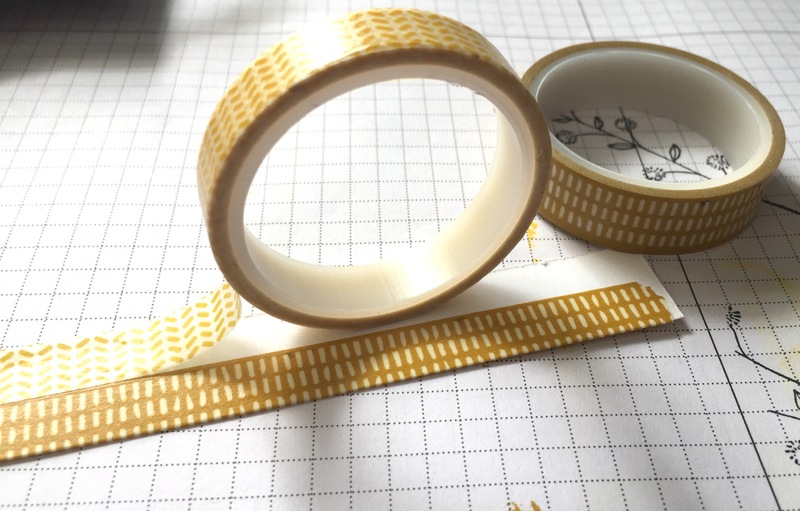 I used the yellow rolls from Bohemian Designer Washi Tape and Cherry On Top Designer Washi Tape. Tear one end roughly. Stamp the Tag Talk sentiment as shown in picture, one on Hello Honey Card Stock and again on the Whisper White. Punch out with the coordinating Label Bracket Punch and trim the Hello Honey piece to layer over the Whisper White piece. Layer as shown on sample, first layer the DSP with the Basic Black matt and adhering to card front using Fast Fuse. 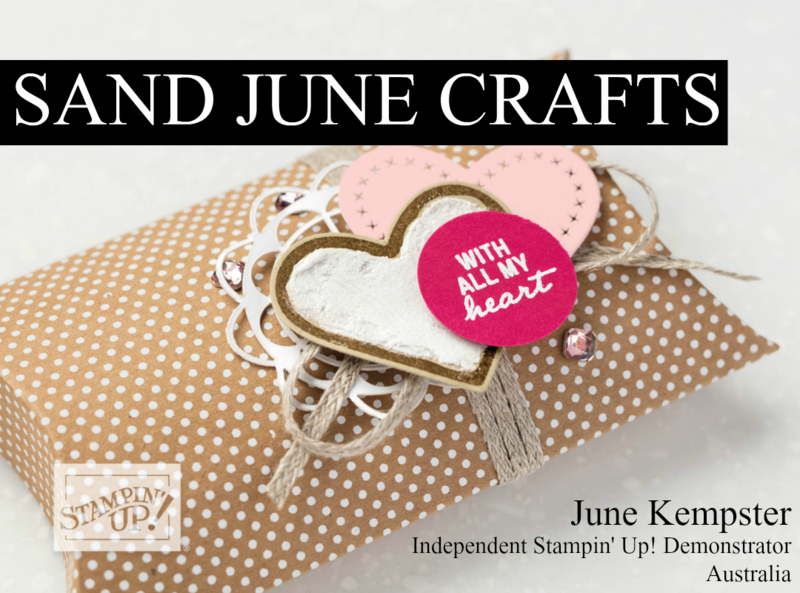 The washi strip attaches to the DSP, then the stamped pieces with Stampin’ Dimensionals. This is a nice simple project and quick to whip up for a friend’s birthday. I am sure the yellow would brighten anyone day. What colour do you usually avoid? I challenge you to do the same, who knows! You may find a new favourite colour! In an up and coming post I will show you just how messy it can get when I get my mojo on!! Also some tips to keep your space organised. Don’t miss any of my post and subscribe to my emails. You’ll find the Sign Up box in the right hand panel of this page. Previous: Previous post: What Do You Do?